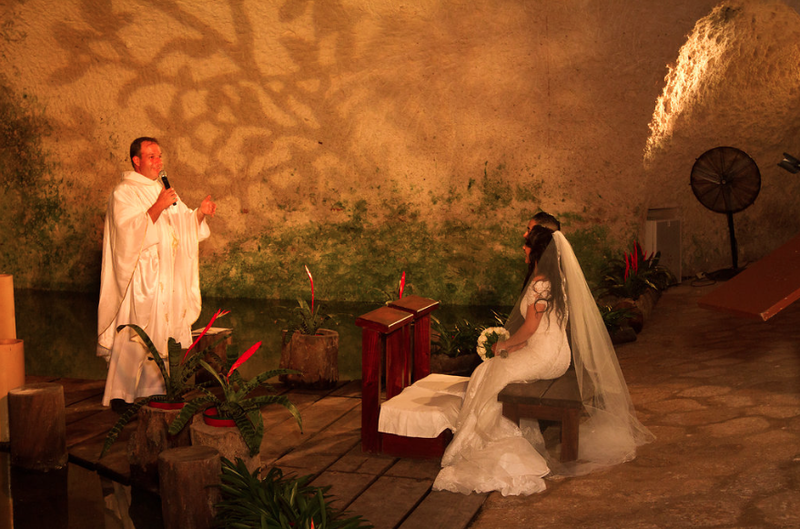 Todays wedding at Xcaret‘s Chapel of Guadalupe is so special. 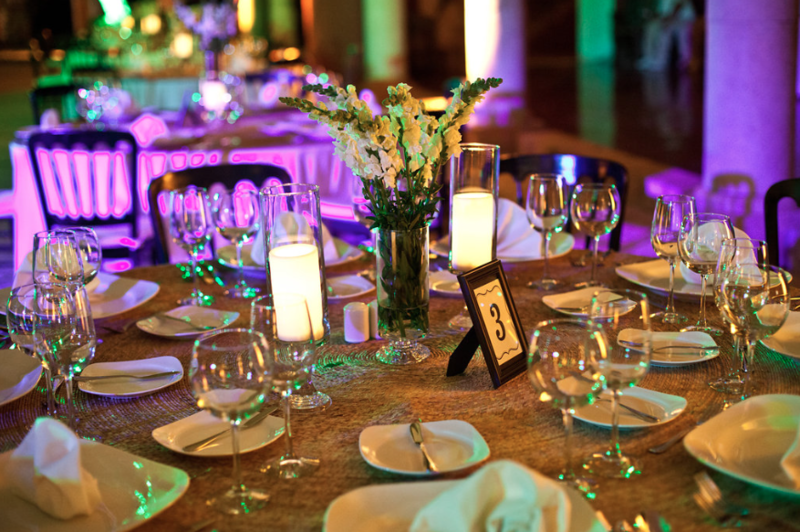 We absolutely loved all of the intricate details that make this venue so magical. 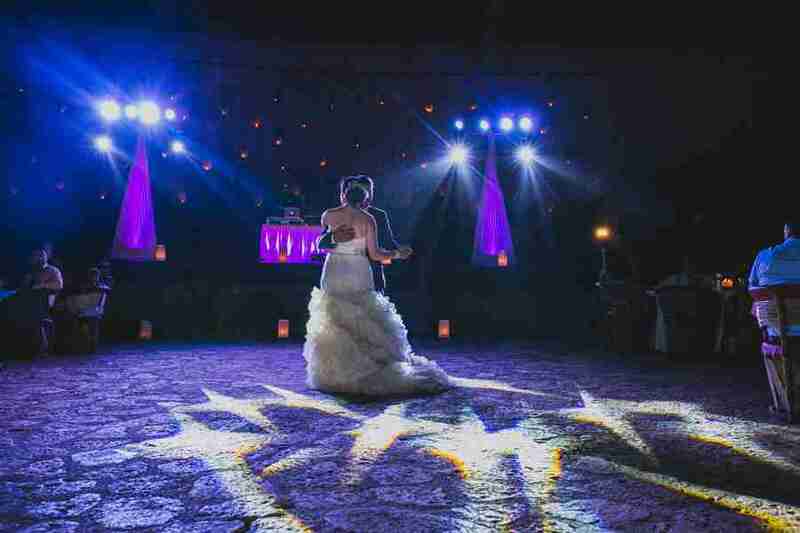 The shadows, the lighting and the dramatic tone make this an absolutely unforgettable experience for you and your guests. 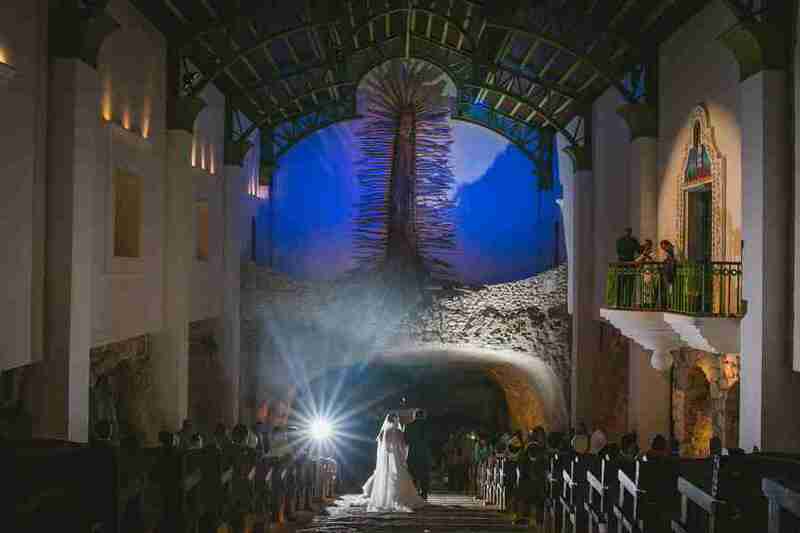 It’s truly one of the most unique venues to host your wedding. 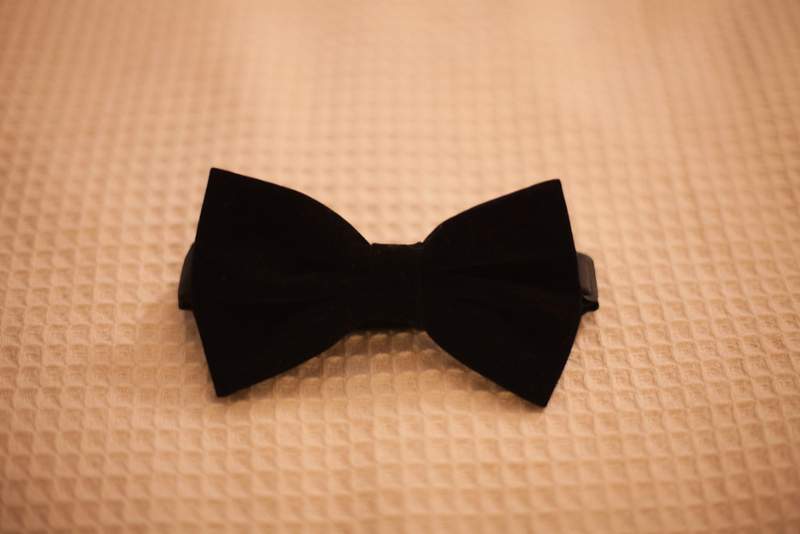 There were many romantic details incorporated into the evening. 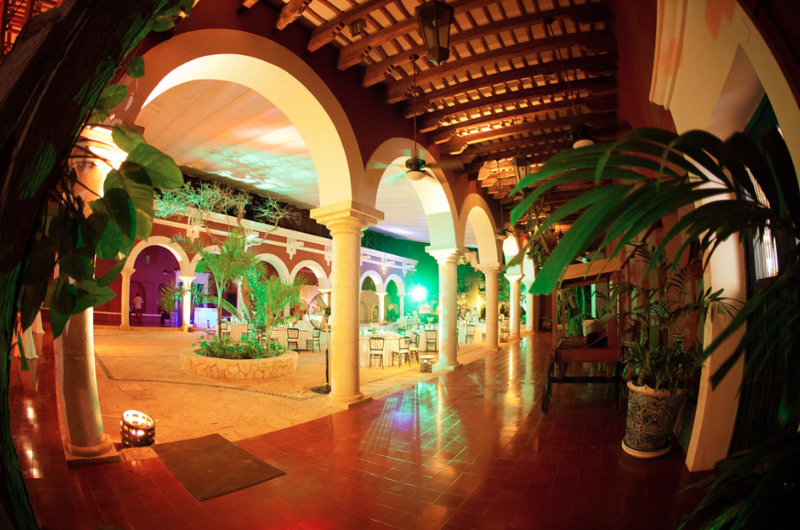 The reception took place in the Hacienda and was beautifully decorated with crystal and white. 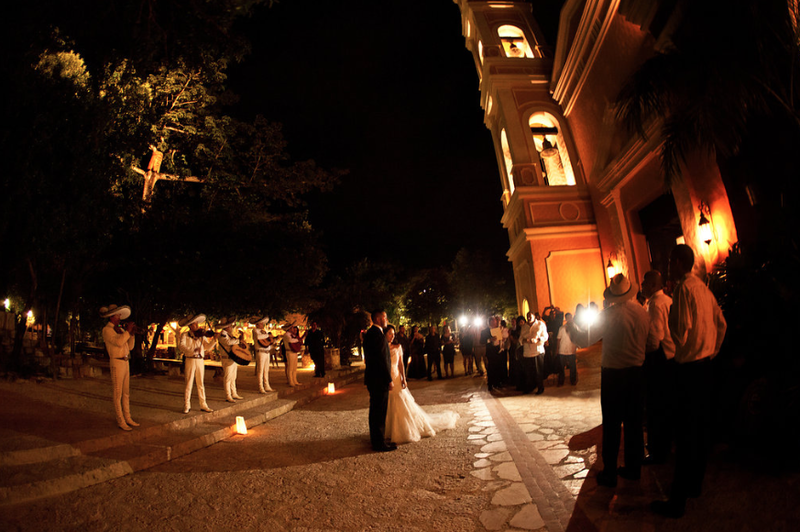 Congratulations Lilian and Sergio and thank you to Jaime for the beautiful photos! 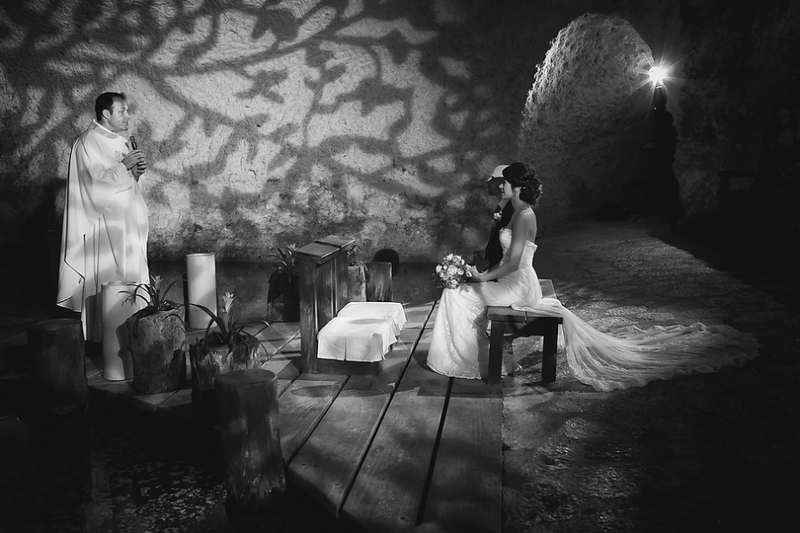 The photos we receive back from our Xcaret weddings are always so beautifully dramatic. 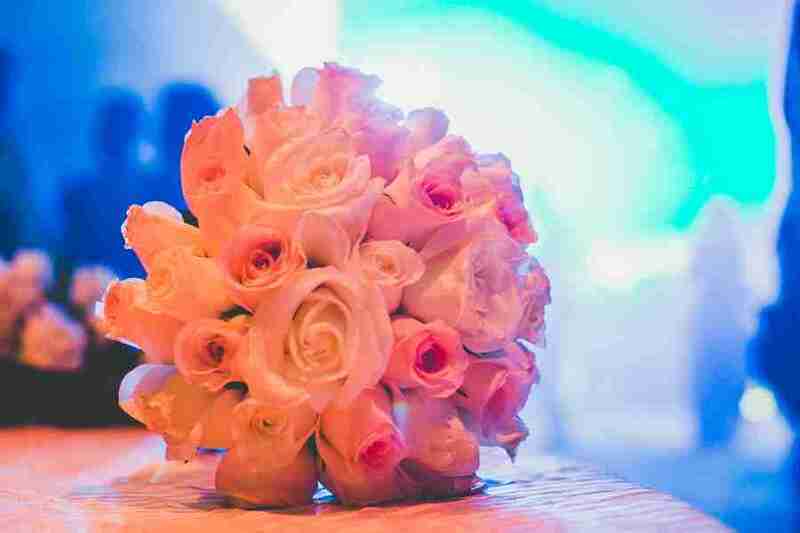 It’s an excellent choice for large weddings and as todays couple, Jackie and Andres, know well… it will have your guests talking about how amazing and unique it was for years to come. 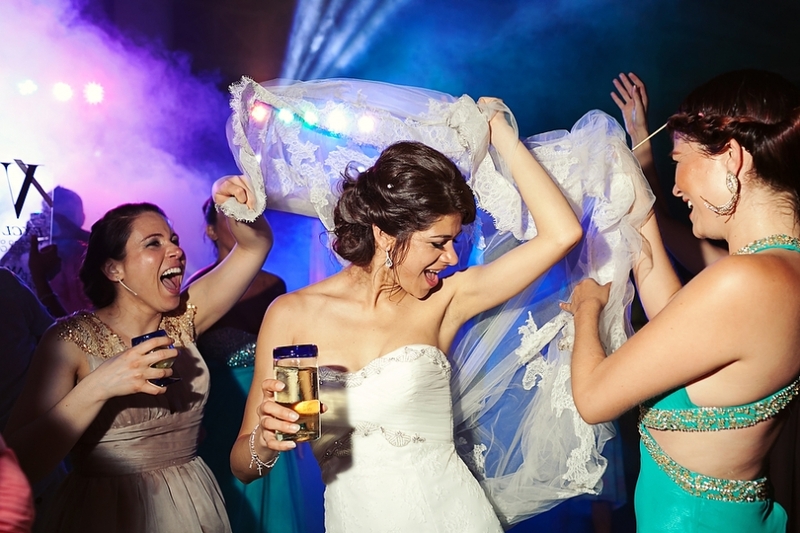 The wedding and our couple were so fun and we had a great time coordinating the romantic trash the dress session for them as well. 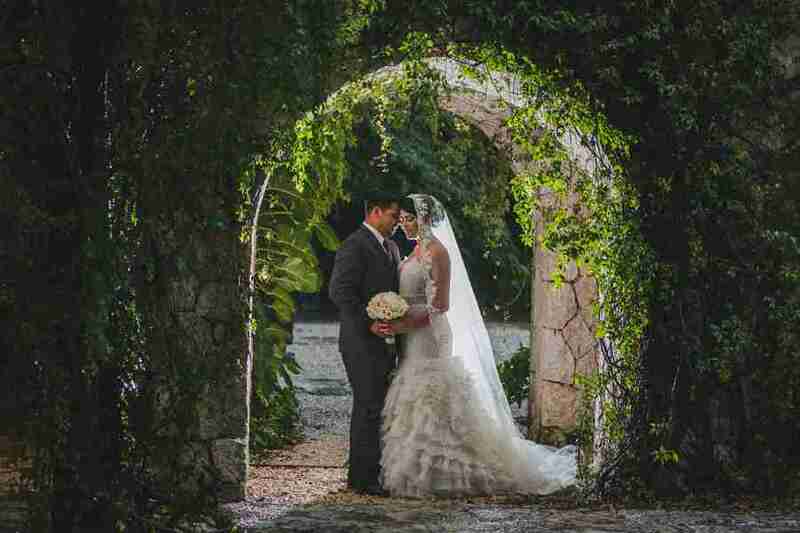 Thanks to our wonderful couple for sharing these photos. Check out the highlight video by Ken Brownlee below! 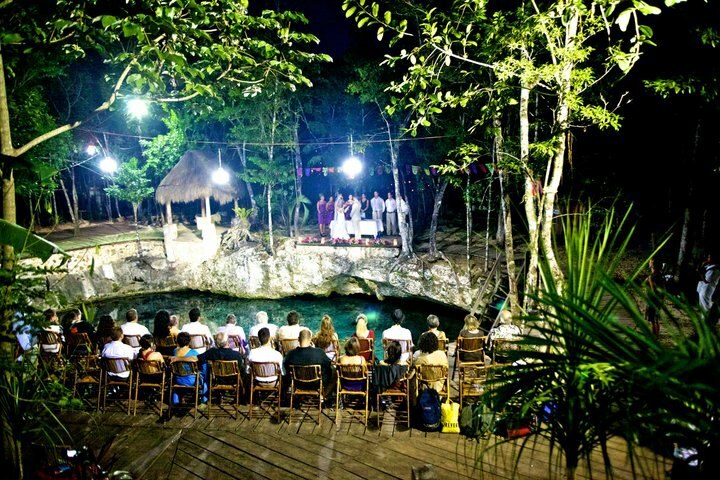 You may have come across Xcaret while researching things to do in Playa del Carmen. It’s a beautiful theme park where you can snorkel, see exotic animals, pretty architecture and learn about the Mayan culture. 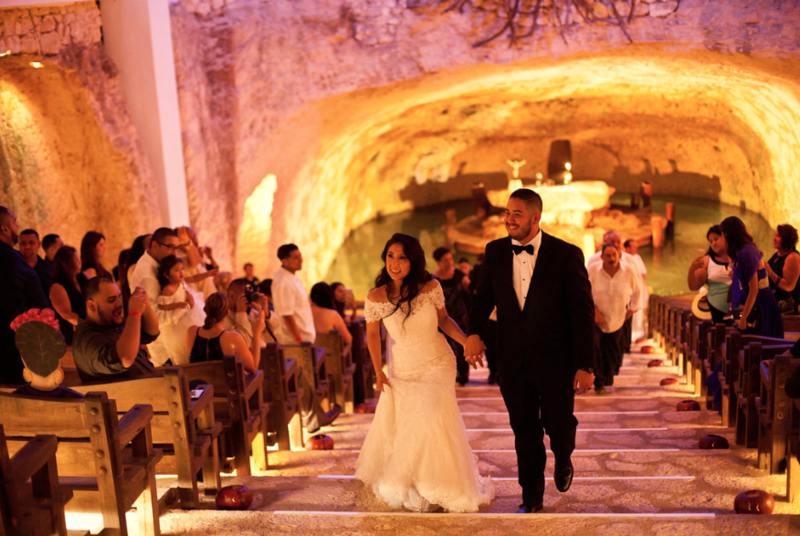 What you may not know, is that Xcaret is also home to a gorgeous chapel and is a fabulous and unique spot for your wedding. 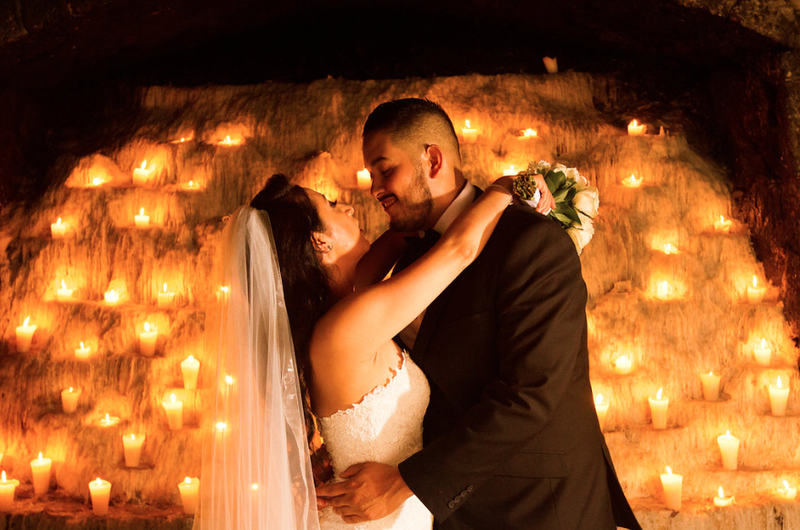 Our lovely couple, Paola and David, knew that this amazing venue would be the perfect fit for their romantic celebration. 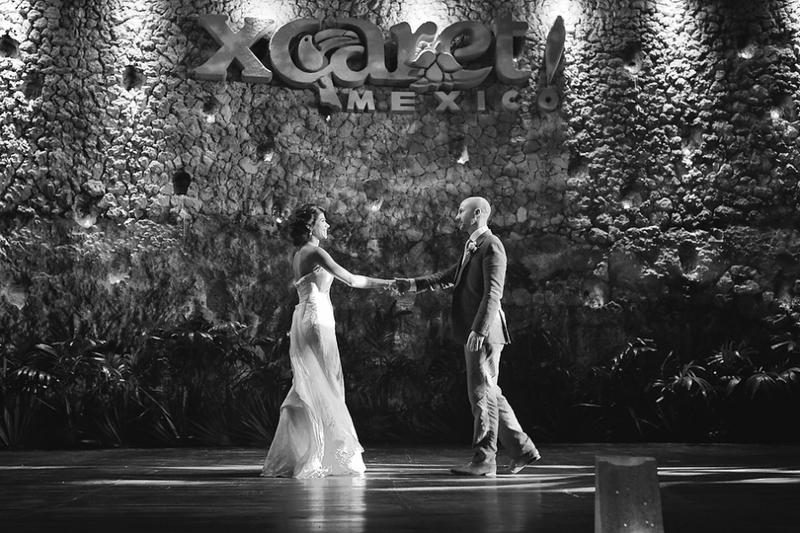 We love the dramatic feel of Xcaret. 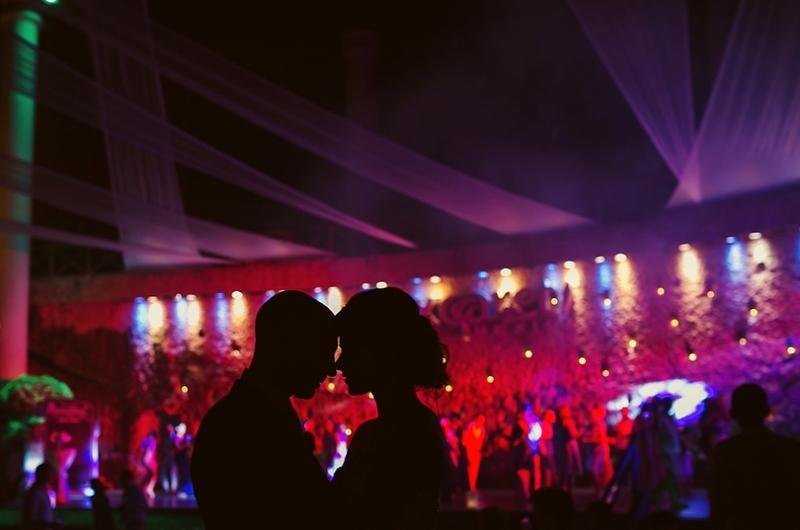 The lighting and shadows really set a romantic tone and it just always feels so magical! 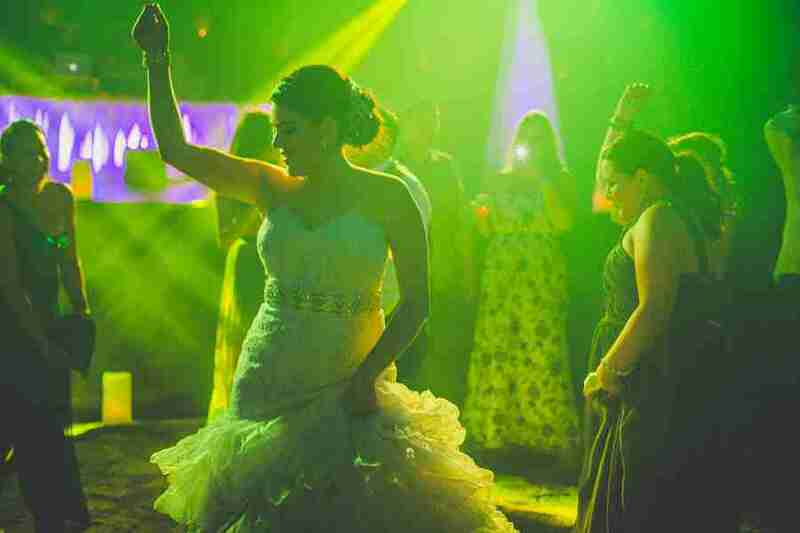 And thank you to Quetzal Photo for these stunning images! 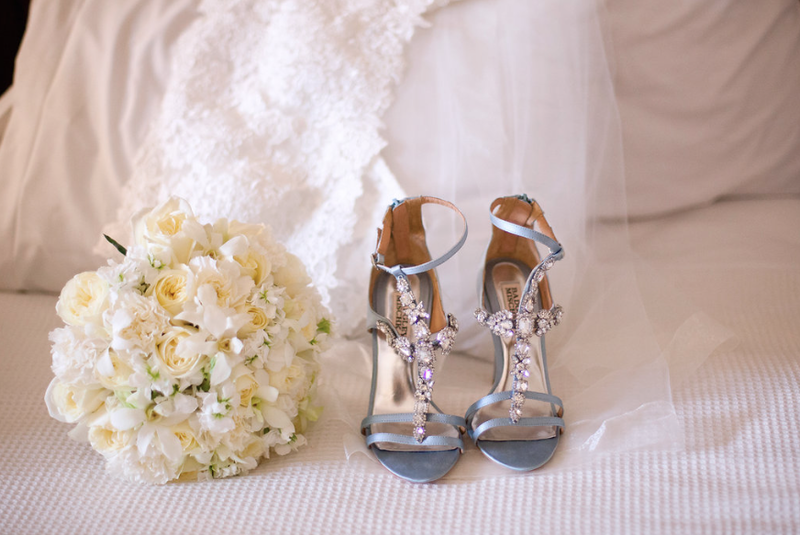 See the whole wedding here. 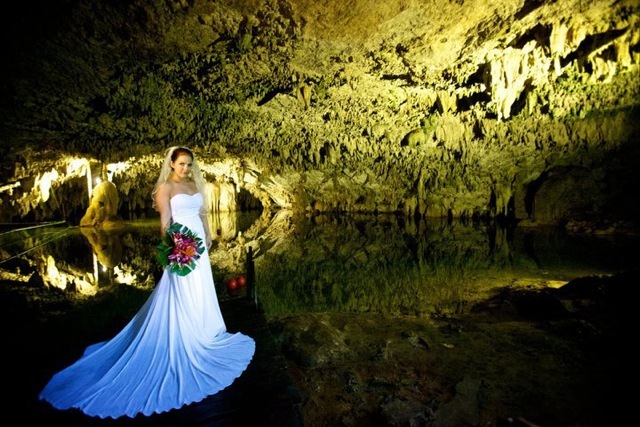 There are many natural, historical and cultural wonders in the Riviera Maya, but perhaps none as unique as our famous cenotes. These fresh water sink holes are created by the underground river system, and were considered to be sacred by the Mayan people. 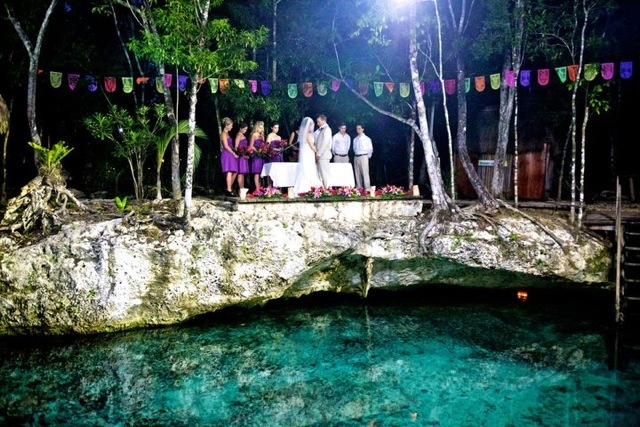 Some of the most beautiful cenotes are right in our own backyard and would provide a stunning back drop for your big day! 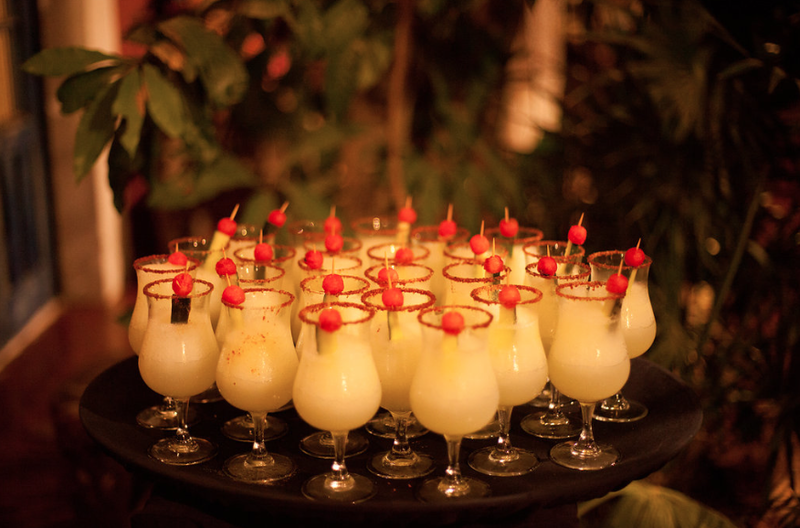 One of our most unique weddings was that of Lindsay and Ryan, who were set on a destination wedding in Tulum but wanted something completely different than a beach wedding. 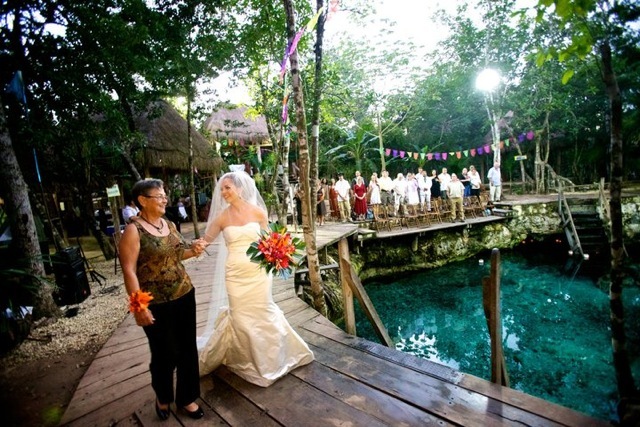 Cenote Zazil- Ha provided them with a lush tropical background, crystal clear jade water and a magical experience for their guests! 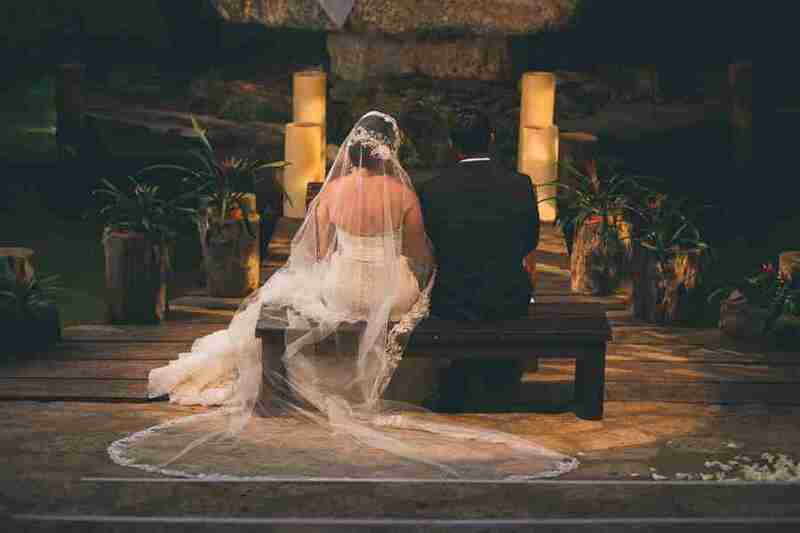 Decorated with colorful papel picado baners and tropical floral arrangements, the already amazing natural wonder became even more vibrant and alive as this amazing couple said their “I Do’s” in front of their closest friends and family. Can’t you just feel the magic? !